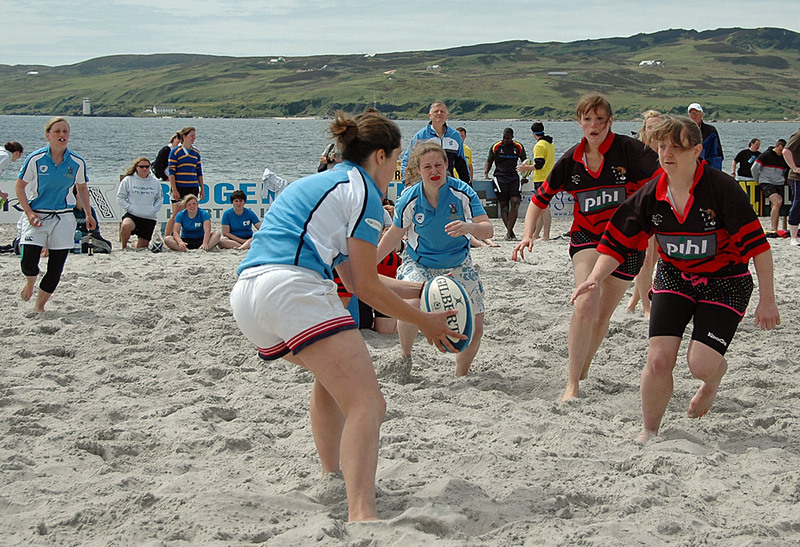 An action shot from the Lassie Cup of the annual Islay Beach Rugby tournament. Taking place on the beach in Port Ellen with the background of the hills of the Oa and Carraig Fhada lighthouse. This entry was posted in Beaches, Landscape, Lighthouses, Repost, Sunny Weather, Village and tagged Carraig Fhada, Islay, Islay Beach Rugby, Port Ellen, The Oa by Armin Grewe. Bookmark the permalink. @islayblog Looks like great fun!